Founded in 1988 and based in Northern Virginia, Orr Partners has grown to be one of the Washington Metropolitan area’s top owner’s representative, development, project and construction management and property management firms. We are an award-winning firm with 91 percent of our project management revenue coming from repeat business and referrals. This reflects our success in managing a fluid project process and leading collaborative teams resulting in quality projects that are on-time and on budget. Our well-developed network of contractors, architects and engineers helps us secure cost and service advantages for our clients and our developments. We employ our seasoned expertise to manage the demanding and complex design and construction process, where mistakes can be very costly. Orr provides advocacy you can count on, leadership you will value, and experience you can bank on. 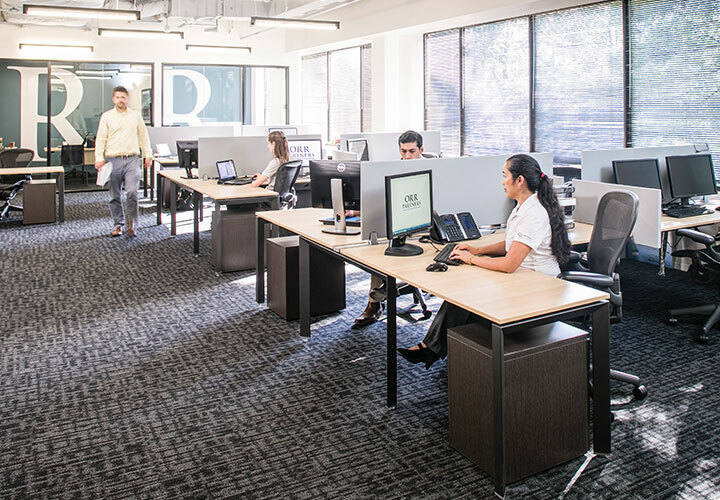 As project manager or property manager, Orr Partners works as an extension to your staff and takes ownership of your project/property objectives. Whether we manage your entire project, only specific components or your completed property, we zealously guard and promote your interests, taking on your challenges as if they were our own. We have managed a wide range of projects, such as corporate headquarters, industrial, site development, renovations, tenant improvements and special-use facilities. We will assist you throughout the life cycle of your project and/or property and are committed to providing leadership that makes a difference to your bottom line. At the request of our clients, we created Orr Partners Property Management (formerly MacGregor Property Management) to bring the same level of service to managing completed properties. Orr PM now manages over 3 million square feet in commercial office, medical office and retail properties.